... and now I want to go fishing, too! Can a kid's life get any better than this?! A wonderful scene captured in a beautiful 1927 rotogravure by H. Armstrong Roberts. 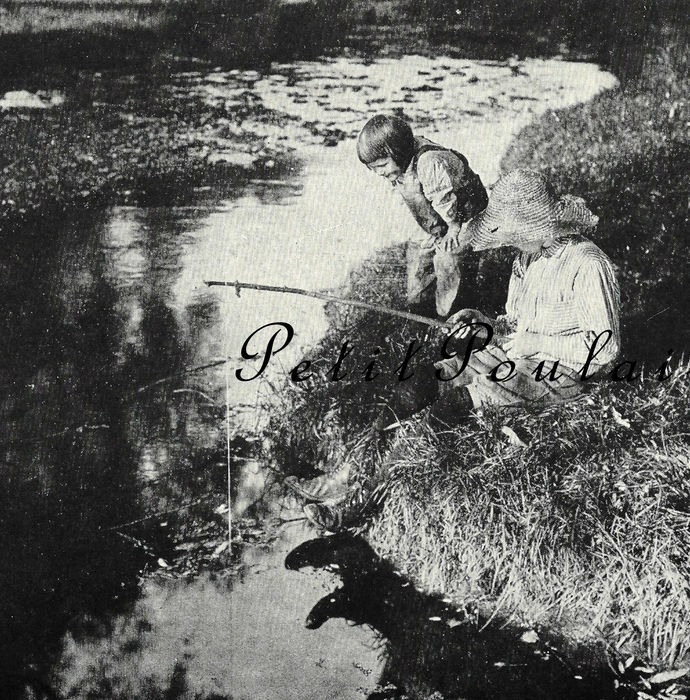 In crisp black and white, the photograph shows two kids at the fishing hole, already fishing, straw hat on and the little one supervising everything - precious! 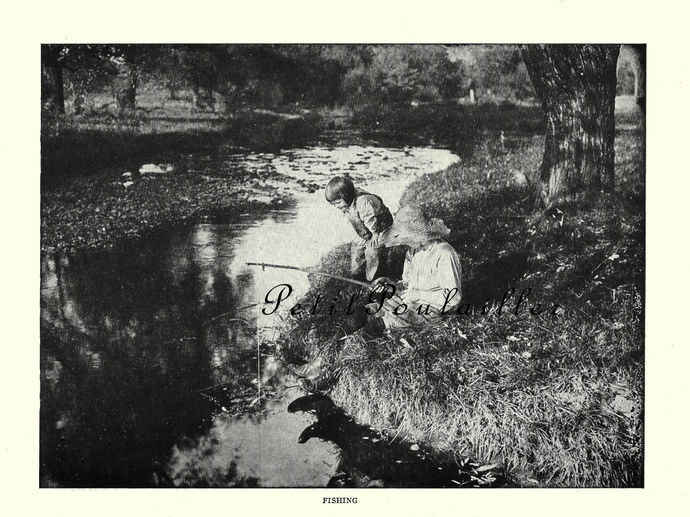 Captioned simply, 'Fishing', the rotogravure is in wonderful condition - no mars or lines to be seen. Perfect for your art, darling to frame! 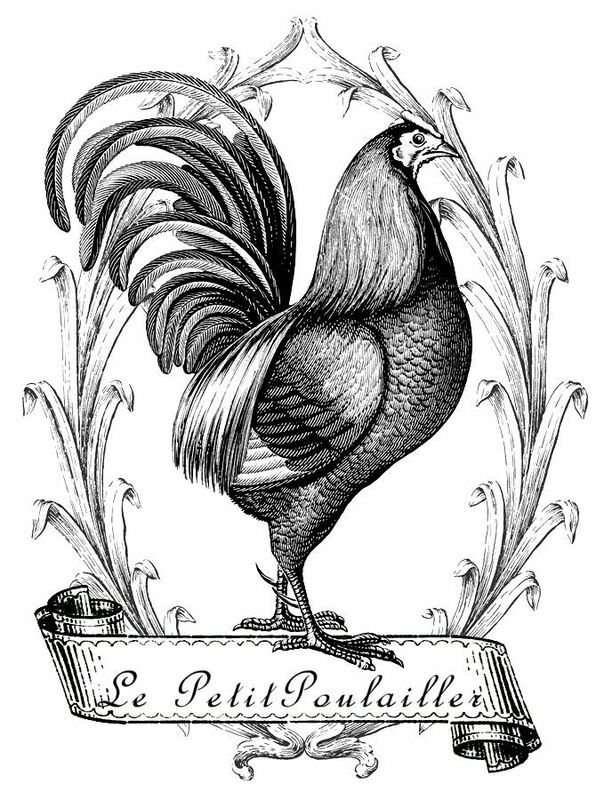 The heavy paper measures 7" x 9.125" (18x23 cm) and there are no tears, folds, creases, or marks on the paper.